Including several spacious carry-on bags — so that you can comfortably pack 12 pairs of shoes and 27 outfits for that three-day trip. 1. A Rockalnd two-piece set with a carry-on that'll fit perfectly into any overhead bin, and a smaller bag you can comfortably stuff under the seat in front of you. That's right, folks! No more sharing legroom with your slightly-too-large backpack. Get a set of two from Amazon for $40.41 (available in 60 colors). 2. An AmazonBasics hardside carry-on that has a price tag sure to inspire an audible gasp. This basic piece is super practical (think four double spinner wheels and a scratch-resistant finish) *without* being super expensive. It's also expandable by 15% so that you can pack even *more* of your wardrobe inside. Get it from Amazon for $49.99 (available in three colors). 3. 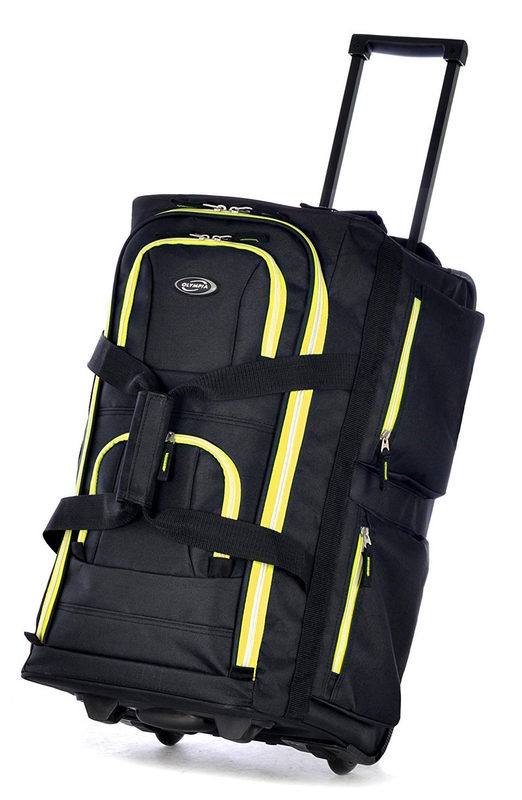 An Olympia rolling duffel bag perfect for the chronic overpacker. You can hypothetically shove 11 dresses, 19 tops, 18 sneakers, and your entire makeup bag in here — and you'll *still* have room to spare. Magic clearly exists. Get it from Amazon for $35.29 (available in 17 colors). 4. A Calpak 23-inch suitcase featuring a gorgeous marble design worthy of a swoon. It's also got a super lightweight construction, meaning it won't feel *quite* as heavy even after you've stuffed it with the entire contents of your closet. Psst, Nordstrom also has a two-piece 22- and 30-inch set in the same gorgeous pattern! Get it from Nordstrom for $135 (available in two colors). 5. A trolley-inspired two-piece set so adorably vintage-inspired, it physically hurts to look at it. 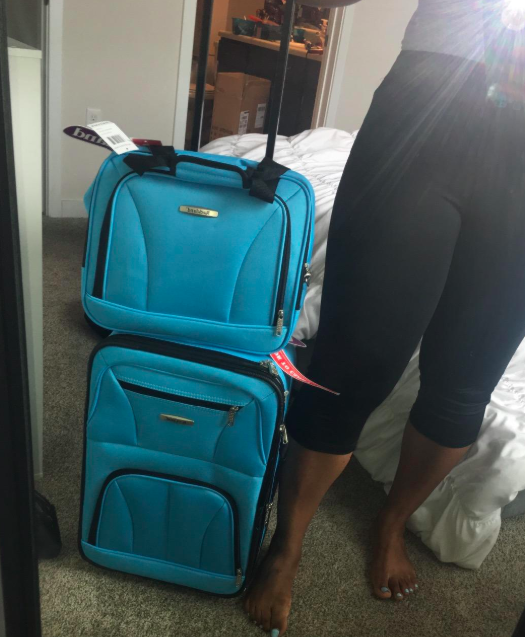 The larger suitcase is 24 inches while the smaller bag is 12 inches — AKA it has the perfect amount of room for your need-to-grab items (I'm looking at you, TSA-approved contact solution). Some other great things about this set? 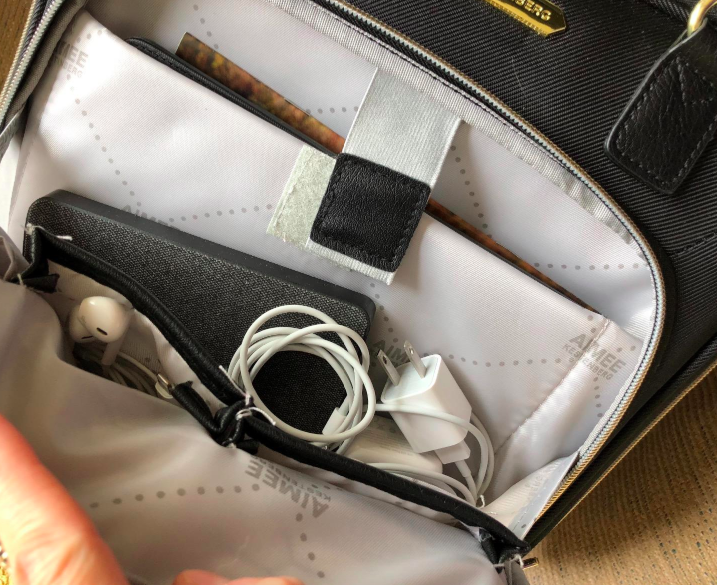 It comes with a matching luggage tag, the bag can be attached to the suitcase handles with an included extra strap, and you can even wear the smaller bag on a daily basis — it'll fit comfortably on your shoulder while looking extremely chic. 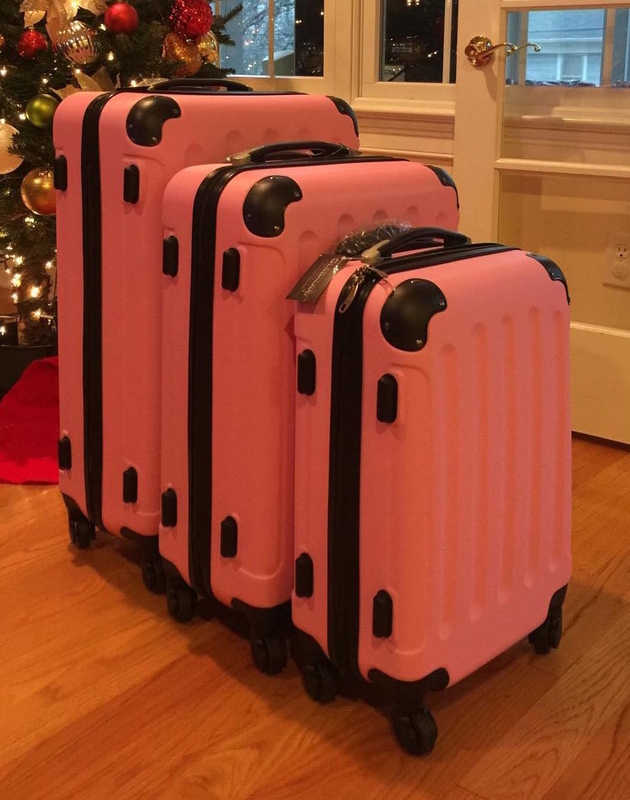 Promising review: "I am blown away with how adorable this luggage set is!! There is a huge attention to detail right down to the lining. 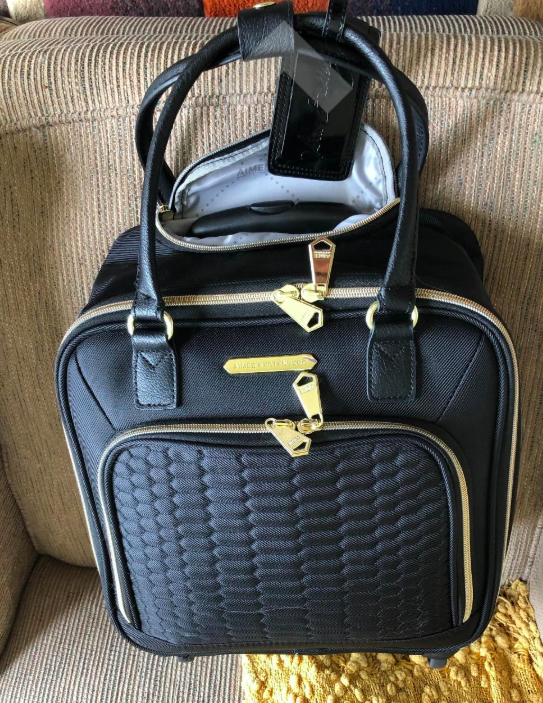 There's a matching luggage tag on the big bag, the extending handle is a really pretty rose gold color that looks so nice, and even the spinner wheels go with the color scheme. The small bag has a special strap that affixes it to the handle of the larger bag so it all stays put. And the final unexpected bonus is that this luggage is so darn cute, I actually have it sitting in the corner of my home office. I'm storing it in plain sight because it doubles as a pretty home decor when not in use!" —Elizabeth G.
Get it from Amazon for $164.99 (available in three colors). 6. 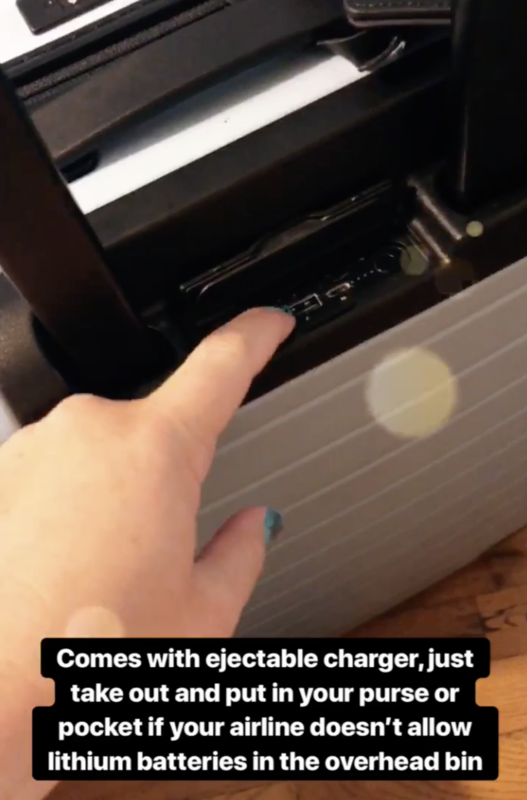 An Away carry-on luggage designed with a hidden laundry bag, a TSA-approved combination lock, an ejectable battery to charge your ever-dying cell, and 360° wheels. It even has an interior compression system to let you PACK MORE STUFF. 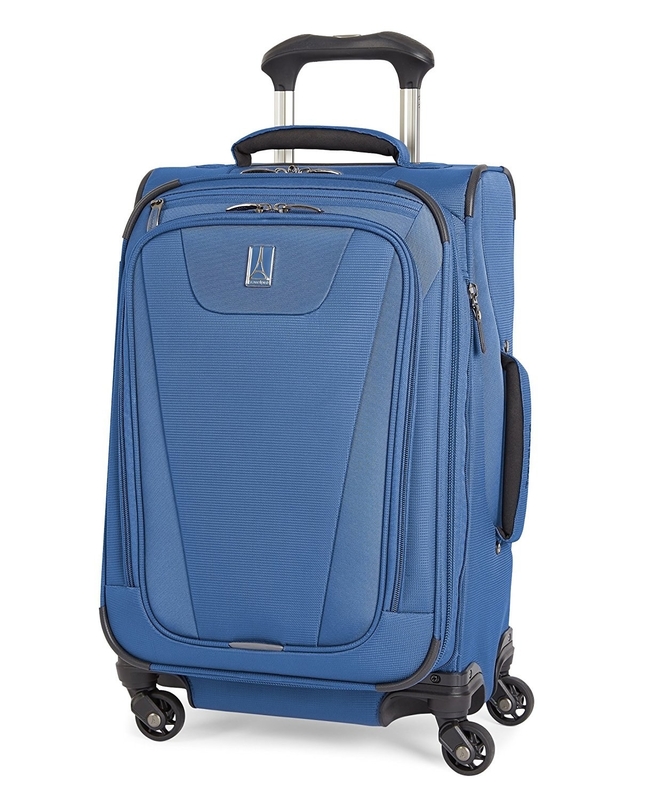 On top of all the fantastic features listed above, this carry-on is also made from a polycarbonate shell. What does this mean, you ask? It means that this BB is essentially indestructible. 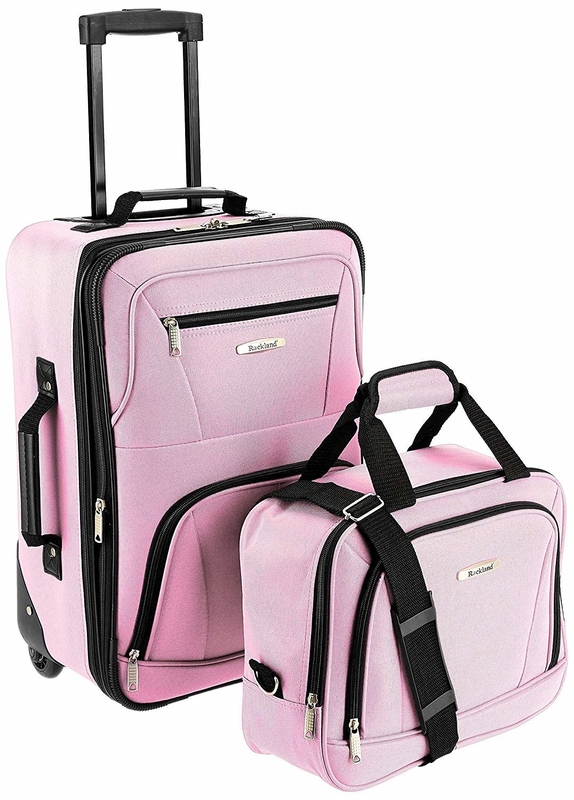 Promising review: "I have never taken a trip that went quite as smoothly, thanks to this Away luggage. It held everything perfectly in place and in order! The bag is beyond lightweight, the design is FIERCE, the wheels are so smooth, the size is perfect, and I love the battery pack. This is a total lifesaver and the smartest bag ever. Intelligently designed and perfect! I’m in love." —Valerie R.
Get it from Away for $225 (available in 11 colors). 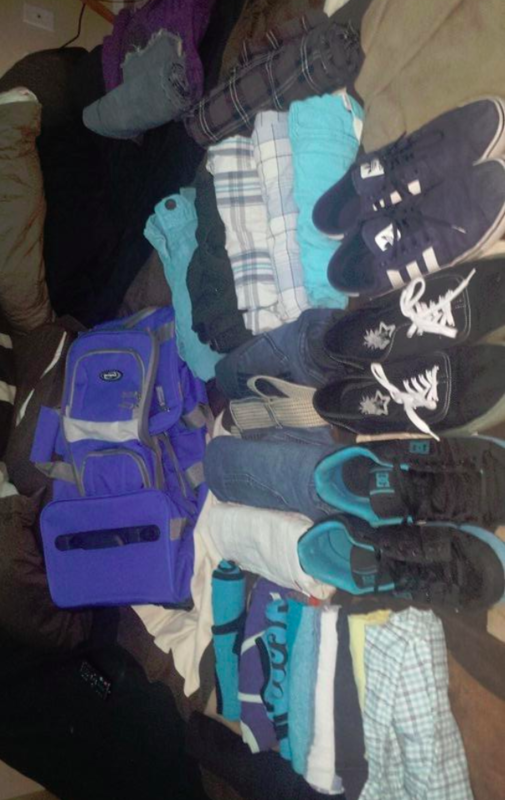 Check out a BuzzFeeder's review of the Away luggage. 7. An iFLY three-piece set with super easy-to-maneuver wheels! That way if you ever find yourself sprinting through an airport terminal because you're late for a flight...at least this won't hold you back. Get a three-piece set from Walmart for $189 (available in 11 colors). 8. A four-wheel underseater small enough to not feel like a *total* nuisance at the airport, but large enough to store all your in-flight essentials. Headphones! Tablets! Contact solution! This pretty BB can hold it all. Get it from Amazon for $76.64 (available in three colors and two sizes). 9. 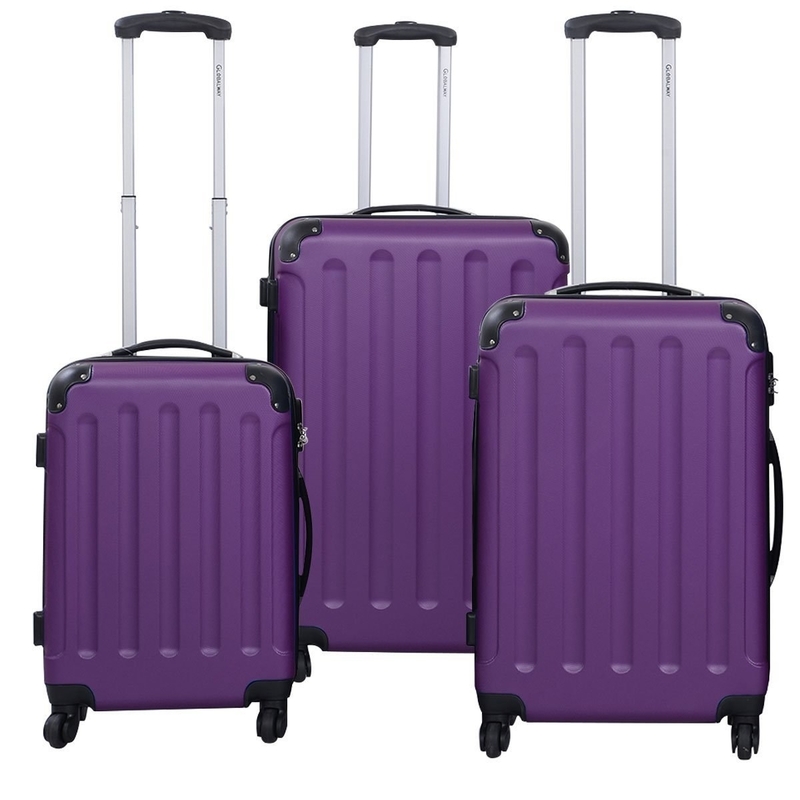 An American Tourister 21" suitcase available in a bunch of fun, vibrant designs — which means it's sure to stand out amidst the sea of black luggages crowding baggage claim. Get it from Amazon for $59.99 (originally $99, available in 10 colors). Get it from Amazon for $99.99 (available in eight colors). 11. 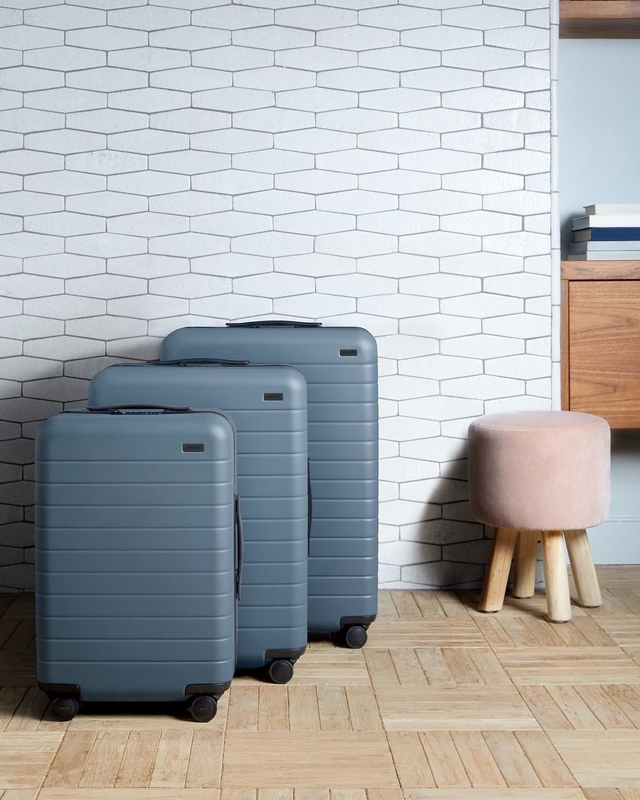 A Samsonite luggage set so sleek, the flight attendant scanning your boarding pass will immediately assume you're in business class. Fake it till you make it, am I right?! Get a set of three from Amazon for $299.99 (originally $569.97, available in eight colors). 12. 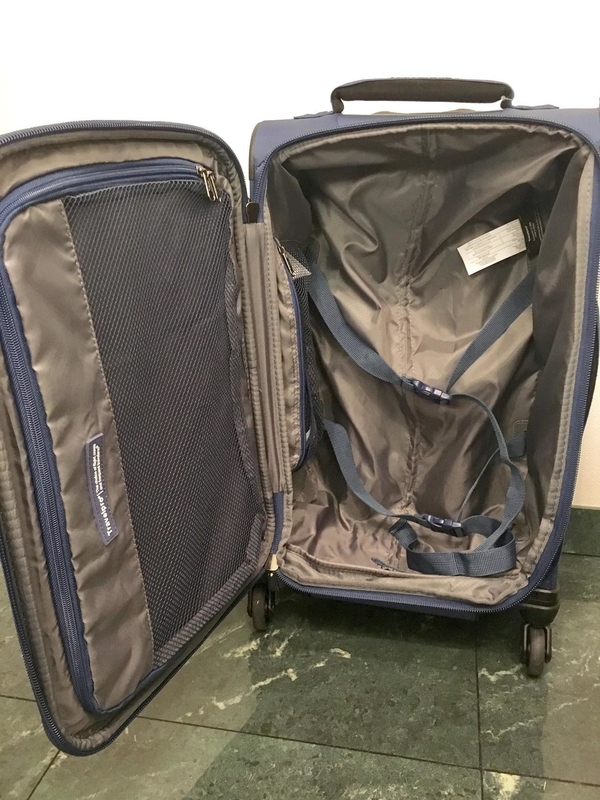 A Travelpro carry-on that is super lightweight, meaning it won't feel as if it weighs a million pounds before you've even begun to put anything inside of it. Get it from Amazon for $118.99 (available in three colors). Get it from Eddie Bauer for $119.40 (originally $199, available in five colors). 14. An expandable three-piece softshell set that, according to reviewers, looks even more gorgeous in person. On top of being super durable, it's got a timeless look (READ: a versatile shade of BLACK) with a unique twist that'll still make it easy to spot at baggage claim. Get a set of three from Amazon for $139.99+ (available in four colors). Want more fun shopping content? Check out the below!